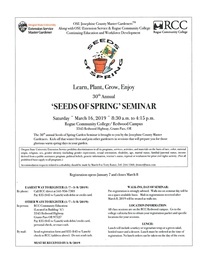 The 30th annual Seeds of Spring Garden Seminar is brought to you by the Josephine County Master Gardeners. Saturday ~ March 16, 2019 ~ 8:30 a.m. to 4:15 p.m. Kick off that winter frost and join other gardeners in sessions that will prepare you for those glorious warm spring days in your garden. 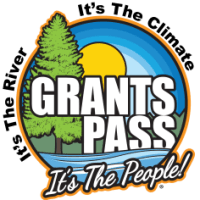 Saturday, March 16th, 2019 ~ 8:30 a.m. to 4:15 p.m.